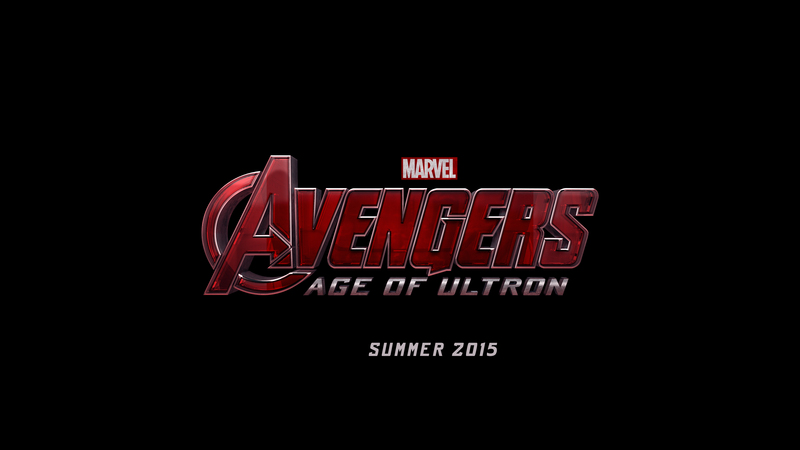 This title card for the ‘Avengers’ sequel was unveiled Saturday. Marvel Studios held their annual panel in San Diego Comic-Con’s Hall H Saturday, revealing a trove of information about their upcoming second phase of superhero movies. Perhaps most significantly, the title of the sequel to last summer’s The Avengers, set for May 1, 2015, was revealed to be Avengers: Age of Ultron. For readers not familiar with the comics, Ultron was a sentient robot originally created by Dr. Hank Pym, aka Ant-Man, who has yet to appear in the Marvel Cinematic Universe. Ultron was created for good but soon became obsessed with power, modifying himself and eventually warring with Pym. The Comic-Con teaser seems to suggest that Marvel may not be following the comics to the letter on this one. The title reveal began with a video of Iron Man’s mask. As members of the Avengers repeated lines from previous movies, the mask was spun around, battered and distorted, eventually morphing into Ultron’s distinctive fanged metallic skull. If this footage is to be believed, Marvel may adapt Ultron’s origin story to make one Tony Stark his creator, holding off on introducing Pym until his planned solo movie, to be directed by Edgar Wright, in Phase Three. Director Joss Whedon offered no clues. Thor: The Dark World (Nov. 8, 2013) – Little more than some extra footage from the upcoming sequel was revealed, though Tom Hiddleston appeared as Loki to whip the audience into a frenzy. From what we know already, The Dark World will take Chris Hemsworth’s hammer-wielding demi-god to more alien worlds as he battles the Dark Elves, led by the mysterious Malekith (Christopher Eccleston). Thor will team up with erstwhile brother Loki and love interest Jane Foster (Natalie Portman) as he attempts to stop the Dark Elves from destroying worlds he has sworn to protect and everyone he holds dear. The film, directed by Game of Thrones helmer Alan Taylor, will have a grittier, more Viking-influenced feel, according to insiders. Captain America: The Winter Soldier (April 4, 2014) – Most of the cast members appeared at Comic-Con, including Chris Evans, Scarlett Johansson (reprising her Black Widow role in a bigger part), Emily VanCamp (as mysterious Agent 13) and Sebastian Stan (as the titular antagonist, one of Cap’s close friends from the ’40s brainwashed by the villainous HYDRA organization). According to producer Kevin Feige, the film is “a 70s political thriller masquerading as a big superhero movie” and will find Cap taking on a powerful enemy in Washington, D.C. Frank Grillo will appear as villain Crossbones. Anthony Mackie will also feature as flying hero Falcon. As directed by Anthony and Joe Russo, the film will deal with Cap’s adjustment to modern life and his growing relationship with Black Widow. Robert Redford, not in attendance at Comic-Con, will play shadowy villain Alexander Pierce. A fight sequence between Cap and Crossbones in an elevator was screened, along with some lines from Samuel L. Jackson’s Nick Fury. Peter Quill/Star-Lord – Chris Pratt beefed up to play the film’s lead protagonist, a devil-may-care gunslinger with an alien father and human mother. Wanted on charges of “minor assault,” according to the footage. Yondu – Michael Rooker shaved his head for the role of the Guardians’ founding member, an expert hunter. Gamora – Avatar actress Zoe Saldana is under heavy makeup as green alien assassin Gamora, the adopted daughter of heavyweight villain Thanos. She’s the last of her species, according to Saldana. Drax the Destroyer – Wrestler Dave Bautista plays a human reborn as a green warrior with the sole purpose of killing Thanos, after the villain murdered his family. Ronan the Accuser – Lee Pace will be portraying a villain, the leader of the evil Kree race. Korath the Pursuer – Djimon Houstou took the role of one of Ronan the Accuser’s Kree allies to set an example for his young son, who is a big fan of superhero movies. Nebula – Doctor Who actress Karen Gillan revealed at Comic-Con that she had shaved her head to play the villainous Nebula, a space pirate. The Collector – Benicio del Toro signed a multi-picture deal with Marvel before signing on to play the ancient Collector, a being who finds interesting lifeforms to keep for himself. Yet to be cast are the voices of Groot, a tree-like member of the Guardians, and Rocket Raccoon, a pint-sized Guardian. Thanos, who cameoed at the end of The Avengers, is rumored to be making an appearance.